For vegetarians in India, paneer or Indian cottage cheese is a much liked ingredient in many dishes. At my home too, we make paneer dishes quite frequently. 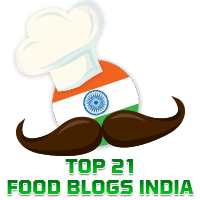 Naturally, elsewhere in this blog you will find recipes for dishes with paneer as diverse as Paneer Korma, Achari Paneer, and Paneer Tikka Kathi Rolls. 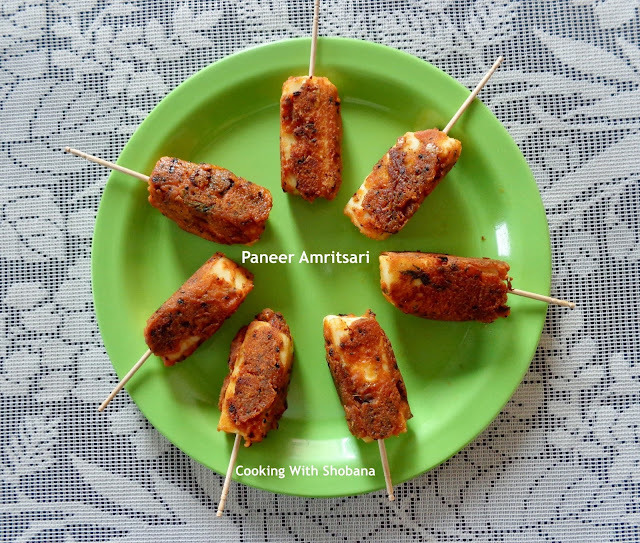 I made Paneer Amritsari recently and want to share my experience. It came out really well and was greatly enjoyed as a starter by my family and friends. This recipe is adapted from Paneer Amritsari by Chef Sanjay Thumma of VahChef. Cut the paneer into long pieces. They should not be too thin as they may crumble. Keep aside.